Calli stands at the forefront of one of the fastest moving Association Software industry trends: member engagement. Described by her peers as a “unicorn”, Calli exhibits passion, intellect, creativity, and detailed execution in everything she does. She has carried this positive attitude across the entire Next Wave Connect organization to establish a culture of success for her team. A calculated risk-taker with deep healthcare industry knowledge, Calli has championed member engagement programs and tactics to her enterprise customers to help them further achieve success through engagement, retention, growth and new revenue strategies. Under her leadership, Next Wave Connect has developed and delivered the next generation of association software specifically for healthcare industry membership associations, starting with an ecosystem that gives the associations a secure place to collaborate in a more meaningful way. Calli believes that teamwork and collaboration is the framework for success, and that social networking, with its ability to connect peers across organizations, can enable the healthcare industry to reach common goals more efficiently than ever. 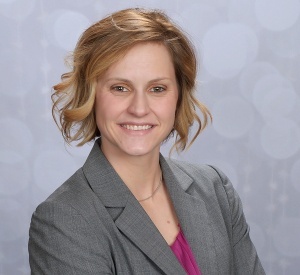 Before joining Next Wave Connect (NWC), Dretke spent six years at Huntsville Memorial Hospital where she was director of marketing and community relations with a focus on hospital operations and security. Calli also served as the administrative representative for the hospital’s co-management model, a key initiative to align both primary care physicians and specialists with the hospital’s long-term goals of improved efficiency, quality, and new project development. A member of the hospital’s executive team, Calli managed a variety of different departments. Much of her expertise centers on institutional branding, message development, and implementing key marketing strategies. Dretke has led efforts in coordinating market research studies—specifically market assessments and community needs assessments—as well as strategies for marketing new and existing services to the public. Dretke joined Next Wave Connect in 2014 as a Community Manager and quickly worked her way up the organization ladder as a Senior Director of Vendor Integration, VP of Operations, and now serves as the company’s President and Chief Executive Officer. Calli holds a Bachelor of Science in biology from University of Louisiana at Monroe, where she attended on academic and athletic scholarships and played Women’s Division I softball. Raised in Texas, she spent much of her youth traveling with her favorite coach – her father – across the U.S., playing tournament softball in 48 states before hanging up her cleats. When she’s not at work, Calli enjoys time with her husband and daughter, training for half marathons, and planning ski trips. Calli often says that of all the titles she may hold in her lifetime, the greatest is being called wife and mom.